Asia Jewellers, one of Bahrain’s biggest luxury jewellery and watch retailers, is dedicated to providing a vibrant portfolio of brands to its customers, from high-end jewellery houses to contemporary designers. Standing tall in the high-end luxury jewellery industry, Asia Jewellers has had a loyal patronage for decades. It continues to wow its customers by carrying on its heritage of providing the best in high-end jewellery as well as affordable luxury brands. Offering a unique personality by representing a plethora of top jewellery and watch houses, the company’s grand reputation is fuelled further by its core values of trust, excellence, integrity and exclusivity. Asia Jewellers is the official retailer of more than 60 renowned international luxury brands. Its repertoire extends from fine jewellery powerhouses such as Cartier, Van Cleef & Arpels, The House of Garrard, Fabergé and de Grisogono, to exciting contemporary designers including Messika, Repossi and Pomellato. 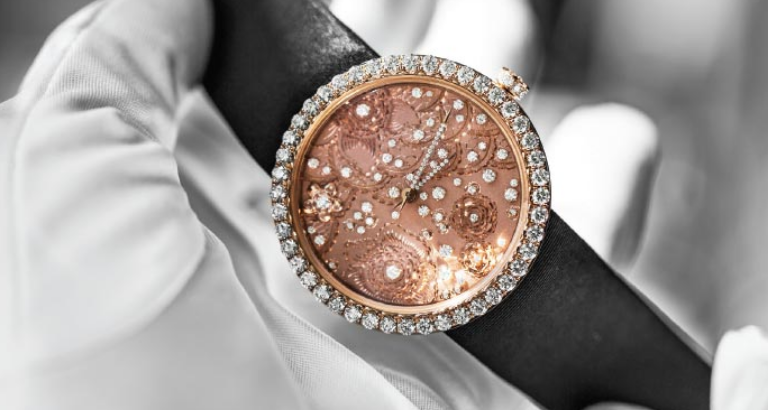 Apart from an eloquent mix of European and Middle Eastern brands, such as Paolo Piovan, Buccellati, Picchiotti and Crivelli, as well as George Hakim, Yeprem, Antoine Hakim and Christina Debs, Asia Jewellers also represents some of the world’s finest watchmaking houses including IWC Schaffhausen, Audemars Piguet, Officine Panerai and Bovet. With such a vast range of presentations, the company appeals to a large clientele, offering classic masterpieces for the elite collectors and timeless yet modern favourites to the young and trendy. With select brand boutiques, strategically located retail stores, and high-end as well as affordable offerings, Asia Jewellers entices customers from all walks of life. The company’s six outlets are spread across the island, from City Centre Bahrain, to Al Aali Shopping Complex, Seef Mall, The Ritz-Carlton, Bahrain, and the landmark Moda Mall. Its impressive dedicated brand boutiques include Cartier in Manama and Al Khobar, Saudi Arabia, as well as IWC Schaffhausen, Officine Panerai, Audemars Piguet, Van Cleef & Arpels and Versace in Bahrain. In a constant bid to strive for innovation, entice new clients and increase customer satisfaction, Asia Jewellers continuously grows its list of prestigious brands and maintains a classic image with a modern edge. The recent refurbishment of its swanky new boutique in City Centre Bahrain is a great example of this effort, with more such revamps planned for the future. In order to increase brand awareness, the company also holds exclusive events for its valued customers. One such occasion, and one of the biggest for this year, is the IWC 150th anniversary celebration, due to be held on November 7 at the Four Seasons Hotel Bahrain Bay. Asia Jewellers will once again be one of the leading participators at this year’s Jewellery Arabia, which will take place from November 20-24. Expect to be bedazzled by various offerings from top favourites such as Dior, Panerai, Fabergé, Buccellati and House of Garrard to newcomers including Marina B and more. “We always endeavour to exceed the expectations of our customers, as we look towards a bright future at Asia Jewellers,” adds Mohammed. Call 17 534-444 or email info@asiajewellers.com for more information.